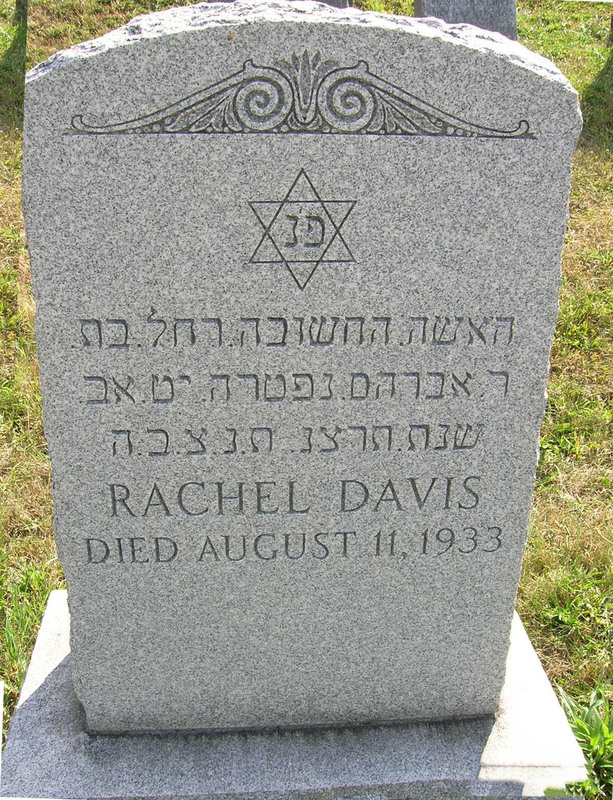 Mrs. Rachel Davis, widow of Simon Davis, died late Thursday evening at the home of her daughter, Mrs. Minnie Swartz of 108 McKay Avenue, Town of Camillus. Mrs. Davis, who was 73 years old, had lived in Syracuse Nearly 50 years. Surviving are another daughter, Mrs. Lillian Doliner of New York City, and three sons, Harry, Hyman and Isadore Davis, all of Syracuse. The funeral was conducted at 2 p.m. yesterday afternoon at the home Mrs. Swartz. 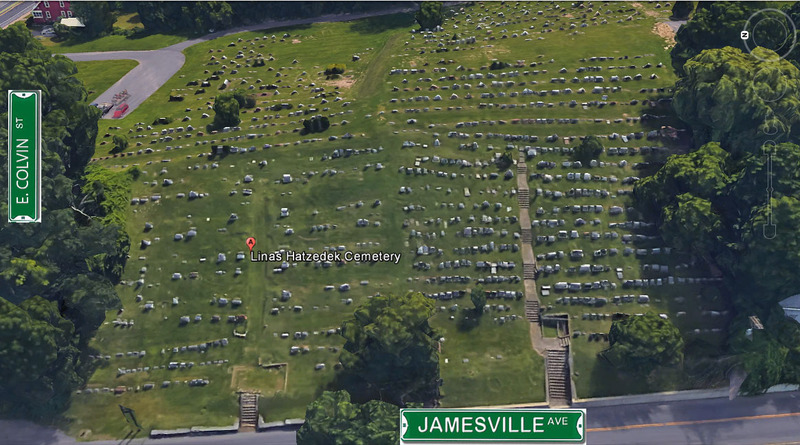 Burial was in Jamesville Gate Cemetery. Post Standard, Sat., Aug. 12 1933, page 8.